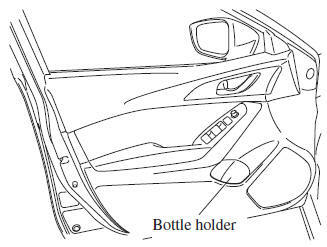 Bottle holders are on the inside of the doors. CAUTION Do not use the bottle holders for containers without caps. The contents may spill when the door is opened or closed.